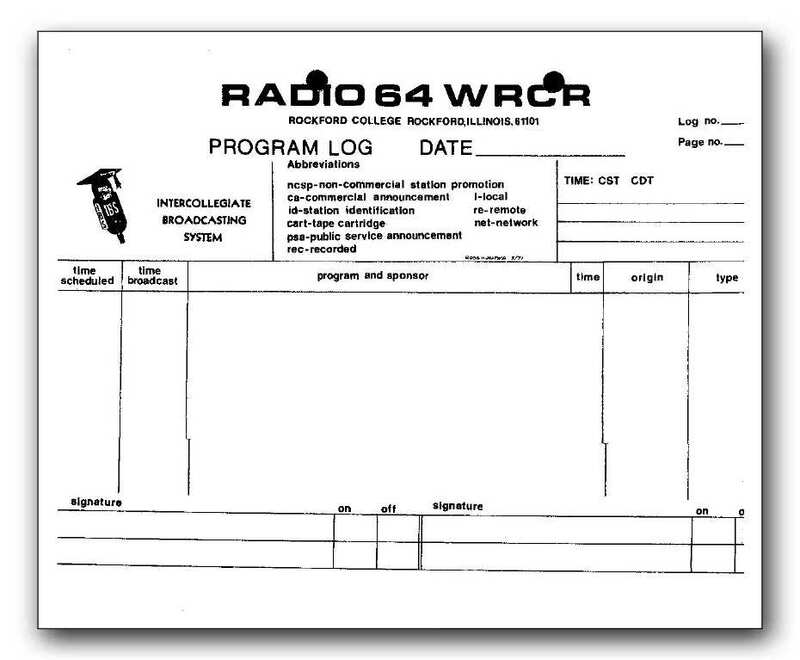 This was the WRCR program log in use by the Spring of 1969. It's been shortened here to better fit your screen. The actual log was on 8.5 by 14 paper.